Breakthrough Twin Cities (BTC) prepares highly motivated, yet under-resourced students for college success. Let me introduce you to Kevin – one of 487 students we are supporting this year. 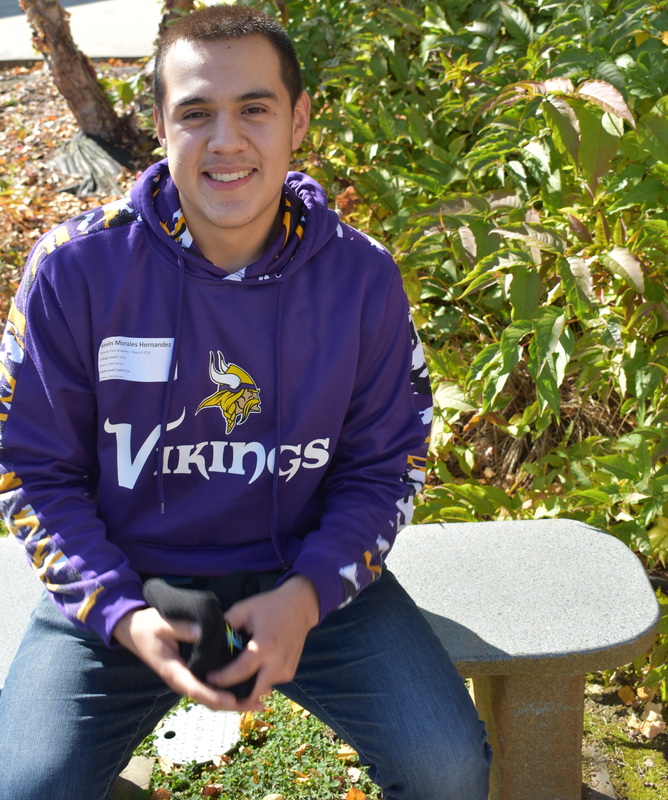 When Kevin, a first generation Latino American, committed to Breakthrough Twin Cities, he was a shy 12-year-old kid who was anxious about being in a new environment. “Breakthrough taught me how to express myself and how to be confident,” says Kevin. After experiencing four years of social-emotional support through BTC, Kevin now exudes self-confidence. A junior at Highland Park High School, Kevin excels in his school’s International Baccalaureate (IB) Program, an internationally recognized advanced curriculum. On top of his rigorous academic schedule, Kevin is diligently working towards, and is within reach, of his Boy Scout Eagle Award. As an active and dedicated volunteer at his local Boys and Girls Club, he serves as a role model to other youth in his community. Kevin’s responsibilities extend beyond his challenging academic course load and extracurricular commitments. You see, Kevin lives in a Spanish speaking household and is often an essential resource in his family, translating conversations and written communications for his parents. Rather than view this as a burden, Kevin – an eternal optimist – sees this as an opportunity to improve his bilingual skills while supporting his loving parents as they strengthen their English language skills and enhance their opportunities. Kevin’s hard work and track record of success in his IB Program have given him the confidence of knowing that he will graduate from high school and go on to college. But the odds are against him. Minnesota has the worst high school graduation rate for Hispanic students in the US. In fact, Minnesota ranks in the bottom 10% in the nation when it comes to high school graduation rates of Native American, Asian American, and African American students. We hope that you will help us combat these educational inequities. Since 2005, Breakthrough Twin Cities has provided a tuition-free program that offers rigorous academic and social support to 848 middle and high school students. Our unique program works. The students who complete our six-year program are graduating high school at a rate of 99.5%– 12% higher than Minnesota’s top performing white students. Moreover, 66% of BTC alums are graduating college in four years as compared to 19% of all public university students. Through your generosity, you will help establish a firm foundation on which students succeed. Kevin will be the first in his family to attend college. 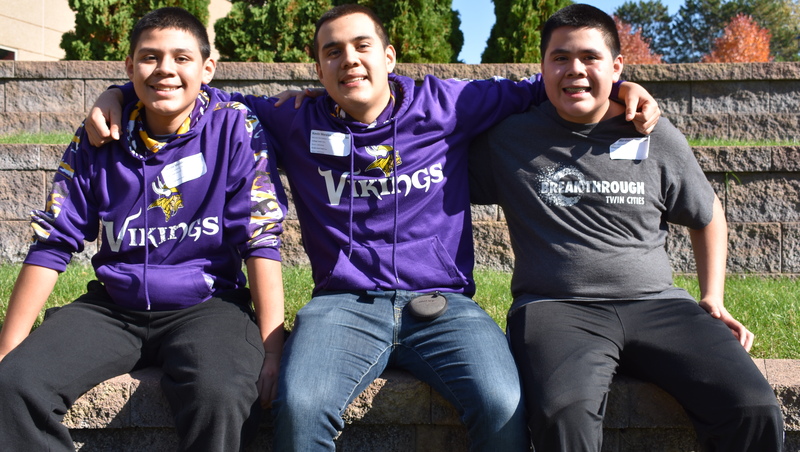 At the same time, he serves as a role model to Erick and Oswaldo, his 7th grade twin brothers, who began their own six-year Breakthrough journey this past summer. With your support, Breakthrough will be there for each of them, and for the nearly 500 students who are committed to their academic and lifelong success. Download our Stock Donation Form or use the form below for Credit Card donations. You can also mail in your donation using the information at the bottom of this page. Breakthrough Twin Cities is a nonprofit 501(c)3 organization and your contribution is tax-deductible to the full extent allowed by law.